The Patient Protection and Affordable Care Act (AKA ObamaCare) kicks in fully on January 1, 2014, however, according to the state of Colorado’s official government website they may not be equipped to meet the deadline set out by the federal government, due to budgetary constraints and change of administration. Colorado is currently combining in place state legislation and future federal legislation, finding this balance is foresight driven and requires numerous hours that are quickly closing in on Colorado. Why is Colorado saying it may not be ready? Colorado’s main gripe with the ObamaCare deadline is the lack of funding provided for administration during the implementation of the new law, such as guaranteed issuance, implementing penalties for the uninsured, federal premium subsidies to help with monthly premiums, and ederal cost-sharing subsidies. Medicoverage is looking forward to working with Colorado to help them meet the deadline. Click here to read more about the Colorado and the Healthcare Exchange. Why Colorado is in a prime position once they meet the deadline? In 2009, Colorado passed it’s own Health Care Affordability Act. This act qualifies Colorado for federal matching starting in 2014, for its preemptive implementation of expanding Medicaid for those up to 100% of the federal poverty line, and 250% for pregnant women and children. Which means more money for the state. What are other Benefits of Healthcare Exchange for Coloradans? â€¢ 18,600 young adults may stay on their parents’ health insurance plan until their 26th birthday. â€¢ $1,510- $2,160 per year, per family, is the expected amount to be saved by Colorado families by the new law. 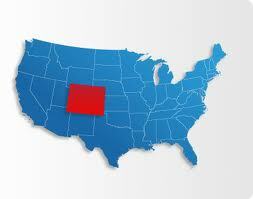 To learn more about Colorado or your state meeting the deadline call 800-930-7956 or contact Medicoverage. It will be interesting to see how plans progress. It is important that hospitals are 100% ready and comfortable with changes.